March 2018 – As part of the planned merger of the hospitals and branches of University Hospital Basel (USB) and Kantonsspital Baselland (KSBL), MMI was commissioned to advise on the restructuring process. It is planned to thereby establish the joint hospital group “University Hospital Northwest” within the next years. 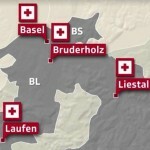 The aim is to improve the health care services for the population in both Swiss cantons Basel and Baselland to reduce cost growth in the hospital sector and to ensure high quality university medicine in the region in the long run. MMI advised the project teams of the hospitals on analytical and conceptual issues and in the design of the medical system. They also helped to develop concrete strategies and detailed solutions. The overall aim was to coordinate the various locations and medical services in a meaningful way and to develop as many potential synergies as possible.